There is no better way to push a page up the rankings than by ensuring it is chock-full of useful, relevant, engaging, targeted content that gets people talking (and sharing). Content Marketing is now an important factor to spread brand awareness amongst internet users online. So below is Top 4 Content Marketing Mistakes You Should Avoid while marketing content through various mediums. Every time Google updates their ranking algorithms, though, someone is sure to predict the end of content marketing. “SEO is Dead!” or “Content Marketing is Over!” cry their headlines. But while such tactics may generate attention, those articles have been popping up for years and content marketing is bigger than ever—and still growing. So what are they talking about? Well, “Content Marketing” is pretty broad. And there are definitely content and SEO strategies that used to work, but aren’t worth the time and expense anymore. Read on for four dead forms of content marketing you shouldn’t use anymore. How many times have you clicked on a site because it had the keywords you searched for, but once you got to the page it had no relevant or useful information? It’s frustrating. It’s a waste of time. Google hates serving users bad content because it makes those users more likely to look to Bing or Yahoo for answers to their questions. It’s probably been a while since you’ve clicked on a site like that because Google—and the rest of the search engines—are constantly improving their algorithms to make sure they rank the highest-quality content at the top of the SERPs. They even go so far as to penalize sites for over-optimizing their keyword density, because that used to be an effective way to rank regardless of whether the website was worth visiting. These days, while targeting the right keywords is still important, it is critical that the content targeting a given keyword be written with quality in mind—that is, it has to be interesting, useful, and helpful to the audience as well as including the relevant keywords. If content that focuses on keyword stuffing at the expense of quality is bad, spun content is even worse. The idea behind the spinning content is that by taking a single high-quality article and running it through a process of rearranging sentences and replacing words with synonyms, you can quickly and easily produce a huge number of derivative articles that beat plagiarism-checking algorithms while still targeting your desired search terms. Maybe they’ll all go on one site; maybe they’ll be spread throughout a blog network for backlinks. The problem is that all that rearranging and re-wording has to be done just right, or the output won’t be human-readable. “Hand-spinning” can work to a certain degree, but the benefit in spinning articles is supposed to be that you can produce a ton of content in a very short time, so software has long been the solution of choice. But software cannot reliably produce readable content (at least not yet), so no matter how good the original article, what you get at the end is a bunch of mediocre-at-best, hard-to-read filler. Readers won’t get much out of it, if anything, so they’re less likely to engage by clicking the backlinks or sharing the content, much less struggling through several hundred words of awkward, unnatural phrasing. And—unlike the people who create and sell spinning programs—the search providers have the resources to teach their algorithms what natural language looks like. It’s a process, and it’s not perfect yet, but there’s already evidence of good grammar and natural language use affecting search rankings. Not only that, pages with poor or mediocre content don’t give as much link juice as they used to—you need way more low-quality backlinks to get the same SEO benefit as a single high-quality one. A once-popular SEO and content marketing strategy, setting up a private network of blogs allows the creator to provide a target page with a large number of relevant backlinks. The problem is, creating a custom network of blog pages, with relevant URLs and enough content to avoid being penalized for having a thin site, it's costly and time-consuming. How do you overcome that problem? The most popular way to do it is by cheaply outsourcing or spinning content. But that creates problems of its own. As we’ve discussed, spun content isn’t worth much these days. Software-spun content is almost always low-quality because of its lack of readability. Hand-spun content is more expensive (though still not as much as normal outsourced content) but still results in lower-quality articles than the original. Outsourcing content can solve part of the problem, but if you’re trying to cut costs you won’t be paying for the best content available—just whatever’s “good enough.” You’re better off going with an experienced freelancer or a reputable content writing service, while more expensive, the quality of content will be much higher. But even if you can avoid sabotaging the sites in the PBN with useless content, there’s still the problem of all the other factors that go into determining site quality and domain authority—and the fact that Google actively penalizes private blog networks. Even if you can overcome all these problems, you’re still faced with a complicated, time-consuming, and expensive process—though perhaps less so than if you just tried to build and write everything yourself. It’s much more efficient to focus on creating quality content and submitting it to high-authority sites to build the target site’s backlink profile. Finally, we come to the source of the previous three strategies: backlinks. It’s common knowledge that backlinks have been an important part of the content marketing and SEO equation for years, but the way they’re treated has evolved over that time. Buying backlinks used to be an effective way to rank your page—by generating a lot of connections from other pages with “relevant” content, you could boost the SEO of a target page or site. But Google and the other search providers don’t like it when their indexing algorithms are tricked like that, so they’ve found ways to reduce the strategy’s effectiveness, as described above. At this point, buying backlinks can still work, but only if you contract with a reputable SEO company—and if they’re doing it right, it’s bound to be very expensive. If you try to go cheap, you’re likely to get what you pay for. Namely, a PBN stuffed with low quality spun content that will not do you much good—if it does you any good at all. Instead, focus your resources on creating and acquiring excellent, helpful, high-quality content and relationships with authorities in your niche. The content itself will tell prospective leads a lot about what you have to offer, and making connections with authority sites will help you get them to let you write guest posts that don’t just get you quality backlinks—they get you access to a wider audience and more qualified traffic. 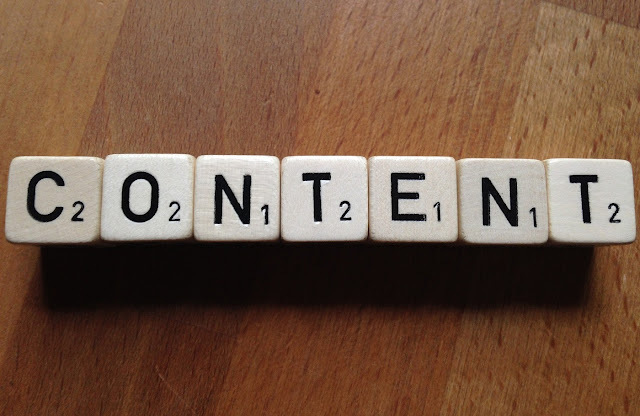 Content Marketing isn’t dead—it’s alive, well, and stronger than ever. But it’s also constantly evolving. Don’t get caught in the past with the four strategies described in this article—writing for keywords instead of quality, spinning content, relying on PBNs, and buying backlinks might get you where you want to go eventually, but it’s going to be an increasingly hard road to travel. Instead, focus your resources on quality content and good relationships with your audience and the influencers in your niche.